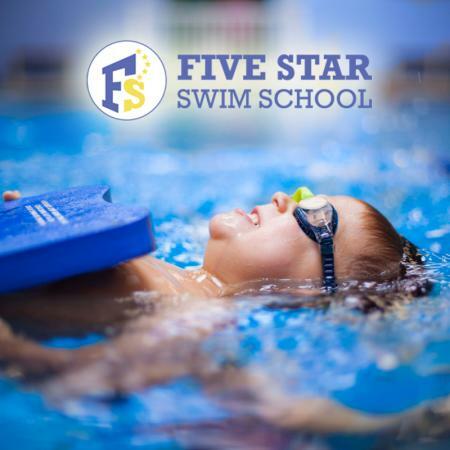 Five Star Swim School is available Open Swim today for $5 per person! Pool side lifeguard on duty during open swim hours for your safety. This time is reserved for anyone who wants to use our facility for swimming, exercise or just a little relax time in our heated indoor swimming pool. Swimming and exercise equipment, as well as fully equipped locker rooms are here for your convenience. 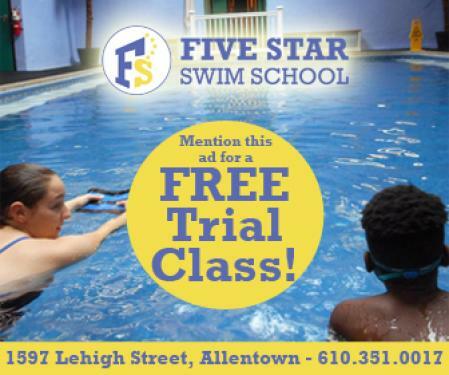 Five Star Swim School is conveniently located on Lehigh Street in Allentown. With close proximity to a number of areas in the Lehigh Valley. Just minutes off route 309/78. Read more about their location here. 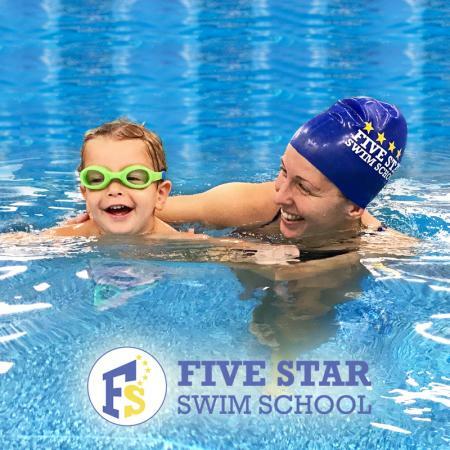 Five Star Swim School offers family swimming sessions, Baby and toddler swimming classes, and swimming lessons for older children looking to refine their skills! Small Student Ratio - A 3:1 student to teacher ratio allows students to get the most out of each lesson. Salt Water Pool - heated to 90 degrees creates a comfortable and safe environment. Salt makes the pool water more gentle on the eyes, skin and hair than traditional methods that use harsh chemicals. Five Star is the only indoor swim facility that offers a salt water pool. Year Round Lessons - keep skills fresh all year long! All Ages Welcome - Lessons for infants, preschoolers, children and adults are available. Special Needs Classes - People of all abilities are welcome. Private lessons are available for personalized care and instruction. Five Star Swim School is ready to host your next party! 2 hour event with private access to the facility. Party room for pizza and refreshments. Organized gamesand free swim with pool toys for up to 30 guests. On site support from staff and lifeguarding. Set up and clean up. Colorful table cloths, plates and napkins provided. Click here to complete a party request form!